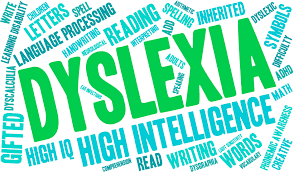 There is a bottom line figure of 8-10% (this is on the increase) of children in most countries with some form of learning disability, involving poor comprehension in certain academic studies… for the most part listening, speaking, reading, writing, or mathematical. However, there is a far greater problem looming on the horizon… LDD (literacy deficit disorder)… and for many, it has already arrived. For those with dyslexia and those who have a real problem coming to terms with and understanding problems with the English language... a figure of around 18-20% would be nearer the truth.